The scene was set for a festive and Merry Christmas on 1st December 2018, with the Hall bedecked with tinsel, decorations and banners. 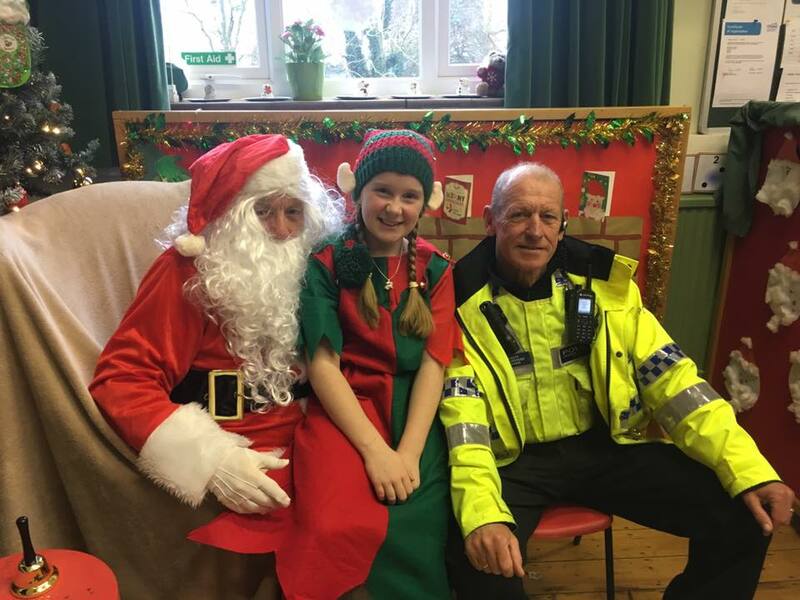 The village hall committee and their enthusiastic helpers had created a wonderful wonderland with a large colourful illuminated Christmas tree, donated by a kind local resident, whilst Father Christmas was sat resplendent in his red gown, seated by the mock fireside and mantle, to enthral the young children who queued to meet him. Each child was presented with a small gift after explaining to Santa what presents they wanted to be delivered to their home on the day. 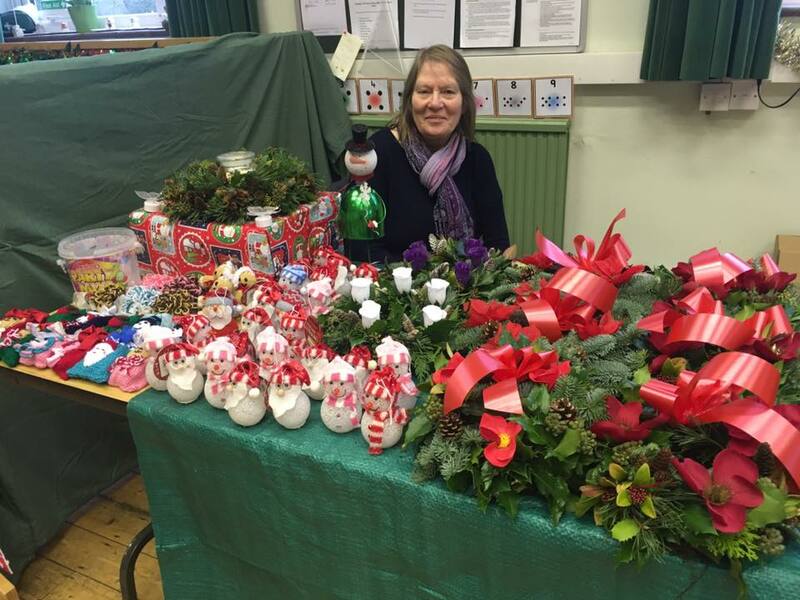 In total there were 12 stalls providing candles, wreaths, alcoholic beverage, cakes, small items of jewellery as well as items of clothing, sweets and treats. Attendees were treated to the delight of a series of dance demonstrations by the girls and students who attended the regular dance class that occurred at the Hall, operated by Infinity Dancing. 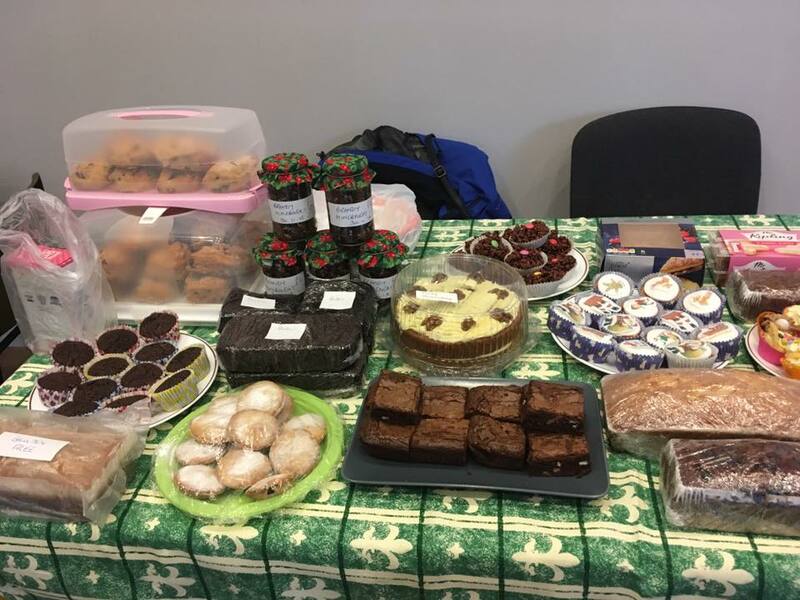 The bakers of the village had excelled themselves and in the newly created Alex Timpson room they provided additional tables selling beautifully presented and wonderful tasting cakes and served these with tea and coffee. This room became a quiet and calm oasis in which the older residents could enjoy a chat and good company. 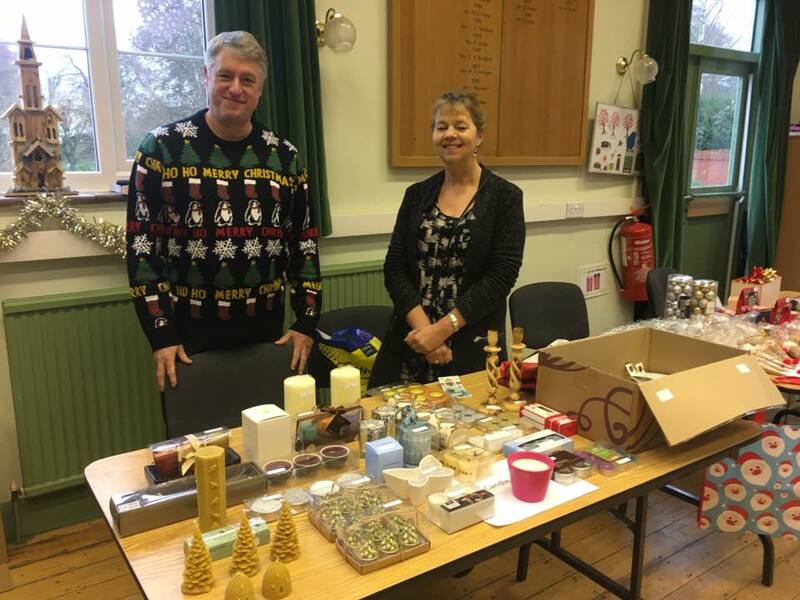 Generous sponsors of local residents and businesses had provided wonderful prizes which were presented following a raffle to secure additional funding for ongoing improvement of the village Hall. All too soon at the event was over, although the spirit of Christmas was carried forward wishing everyone well and that they had a very happy Christmas and a warm and comfortable New Year.